Home » Is It True That You Can Feed Your Baby Cold Breastmilk? Is It True That You Can Feed Your Baby Cold Breastmilk? I exclusively pumped with my first child, because he wouldn’t latch. I started complaining to another mom about how difficult it was to pump. I had to wake up in the middle of the night and warm up milk, feed the baby and then pump. This happened multiple times a night. The woman looked at me and said, “I just give my baby cold milk.” When she said all I could think was, can babies have cold milk? I thought that babies were supposed to drink warm breastmilk. I mean, there is obviously a reason that the milk comes out warm, right? Or maybe, it doesn’t really matter and milk is milk. Fed is best, right? I decided to stop guessing and start investigating. I really wanted to figure out whether or not babies could drink cold breastmilk. Before I begin I feel prompted to say that fed is always best. If you formula feed your child for whatever reason you should never feel guilty. The best thing you can do is feed your child whether it be formula, or breastfeeding. The best analogy that I have ever heard explaining breastfeeding is that feeding your child is like pants. Breastfeeding is like a pair of pants that you get personally tailored. Formula is like a pair of pants that you buy off the rack. The tailored pants will fit you better, but they are both pants and will do the job. Babies can drink cold breastmilk. You can just take the breastmilk out of the fridge and give it to your baby without causing any harm to them. I wish I would have known that when I was pumping, because that might have saved me a lot of time warming up my son’s stupid bottle. Although feeding your baby cold milk is perfectly safe, your child might not think a cold bootle is all that great. 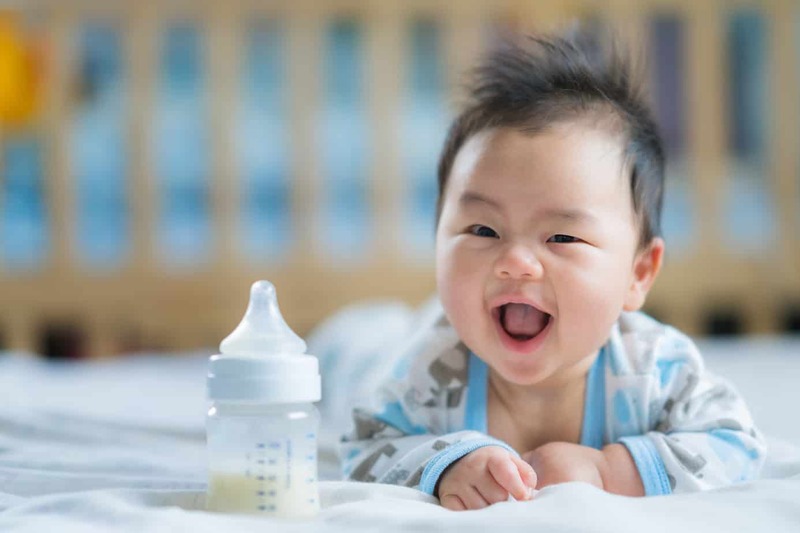 Your baby might actually refuse to drink the cold milk. Babies who are given cold breastmilk might drink less and will prefer little snacks. The only problem that might arise from cold milk is that in some babies cold milk is harder to digest. 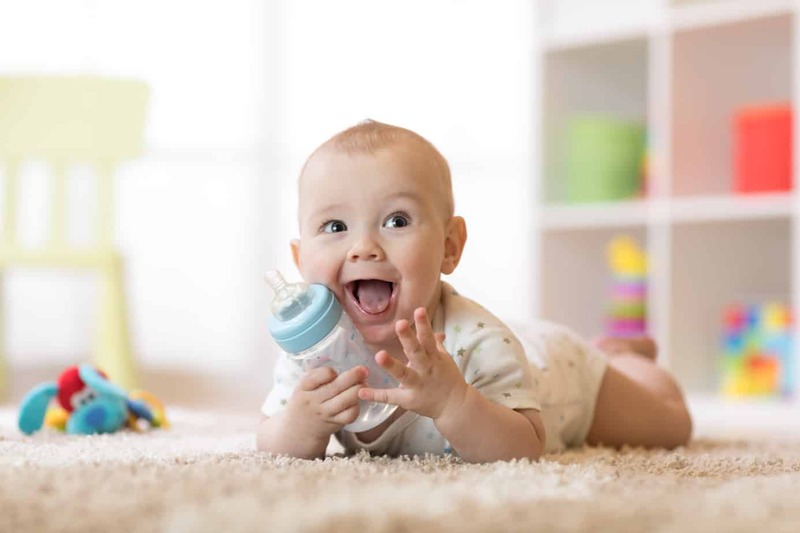 If you feed your baby cold milk you might notice that they struggle with more gas and are having a harder time to digest, poop, or even burp. However, it is very rare for cold milk to cause any struggles in your child. 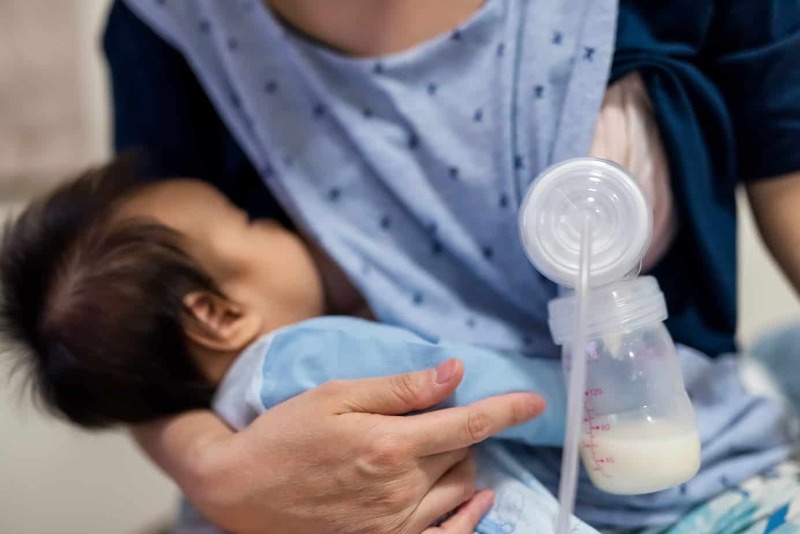 If you would like to feed your baby cold milk then you shouldn’t be afraid to do so, because the milk will still be just as beneficial and will be filled with the nutrients you expect from your milk. So, if you child likes cold milk then you are lucky and you don’t have to worry about spending time heating up milk. The only difference you might notice between cold breastmilk and hot breastmilk is that the cold milk will not mix as well. When the milk is cold the fat will rise to the top and you will be able to distinctly see the layers in the milk. You might want to shake the milk before giving it to your baby. You can feed your child moments after you pump, or you can put your breastmilk into the fridge to give it to your baby at a later date. Warm breastmilk can sit out for four hours before having to throw it away and breastmilk can stay in the fridge for 7 days. Make sure that you keep track of when the milk is out, or in the fridge. If the milk ever smells funny, or “off” then you should just toss out the milk. You should never risk giving your child milk that is rotten. I feel bad that I judged the mom who kept on feeding her child cold milk. Apparently I am the mom who needs to educate herself before judging others. I really thought that warm milk was the best, because it comes out warm. I am glad that I decided to research this topic so that I could be more educated with breastmilk.